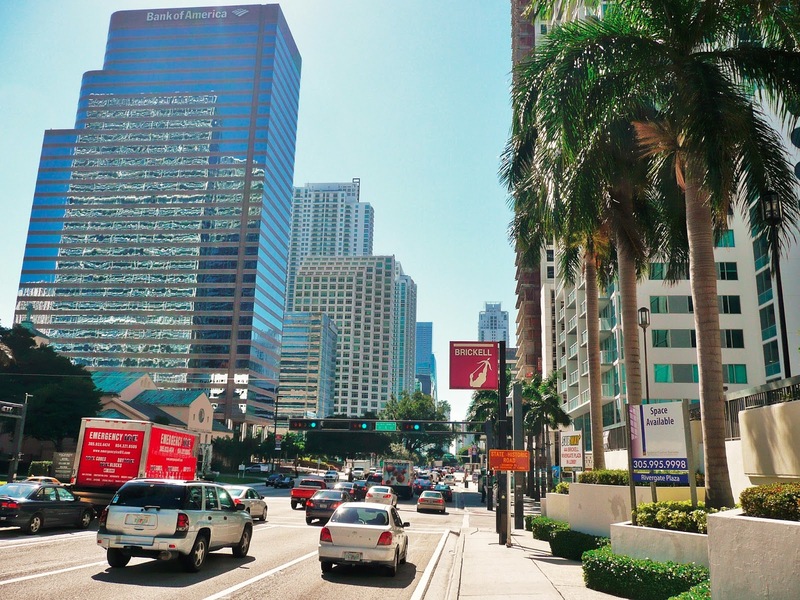 Brickell is the major financial district in Miami as well as all of South Florida with a huge concentration of international banks and investment firms as well as most of Florida’s foreign consulates. Frequently called the “Manhattan of the South,” Brickell is a fast-growing urban section of Miami filled with a diverse group of people who revel in the combination of a fast-paced metro area with the tropical atmosphere. In terms of Brickell real estate, this popular part of Miami is filled with high-rise residential condominiums some of which are luxury residences as well as apartment towers. Restaurants, shops and entertainment add to the thrill of living in Brickell. Not only are there tons of opportunities for buying real estate, there are tons of Brickell rentals for those who prefer to rent instead of buy. From just over $1,200 per month to almost $20,000 per month, rentals are available in most every condominium and apartment tower in Brickell. 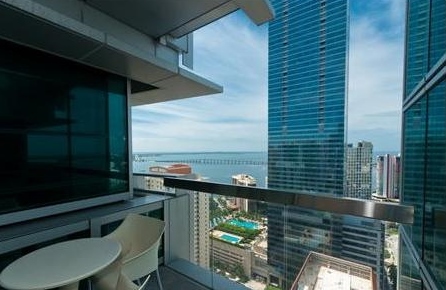 Following are the top five Brickell rentals under $5,000. This is an excellent opportunity to live at one of Brickell’s most exclusive addresses. This two-bedroom/two-bath corner residence is located in the condo/hotel tower. Not only are there the most amazing city views and views of the elegant two-acre pool deck, but there is a wonderful kitchen with high end appliances and contemporary Italian cabinets as well as elegant spa-like baths, nine-foot ceilings, floor to ceiling impact resistant windows and more. Enjoy access to five-star hotel amenities including the resort-style pool deck, valet parking, 24-hour concierge, a boat dock at Biscayne Bay and other exclusive options. Live in the center of one of the hottest areas in the country within walking distance to unbelievable restaurants, parks, the Bay and so much more. Life at Icon Brickell is one that is luxurious, exclusive and convenient. Centrally located in the most popular part of Miami, the two-bedroom/two-bathroom home in this all-residential tower at Icon has everything anyone could ever want from a well-appointed residence with top of the line fixtures and finishes to unbelievable amenities like valet parking, 24-hour concierge, a beautiful pool with extensive pool deck, and more. This is one of the absolute best addresses in Brickell. This is a two-bedroom/two-bath home in the Viceroy allows its residents the luxury of hotel-living in the most popular part of Miami. Residents enjoy an Artefacto custom-designed, fully-furnished home with panoramic views from every vantage point. Some of the amazing features in this home include an audio/video package with a Bang and Olufsen sound system, two plasma televisions, a wonderful kitchen with high end appliances, counter tops and cabinetry, and more. Additionally, the hotel’s five-star amenities are part of this ideal place to live. The resort-style pool situated on two acres, valet parking, a state of the art fitness center and other conveniences are part of the plan. Live within walking distance of Mary Brickell Village, downtown, shopping, the best restaurants and a short drive of the beaches, airports and major thoroughfares throughout the entire area. Live in the lap of luxury in this beautifully furnished one-bedroom/one and a half bath annual rental in the Millennium – Miami’s most exclusive building in all of Miami. 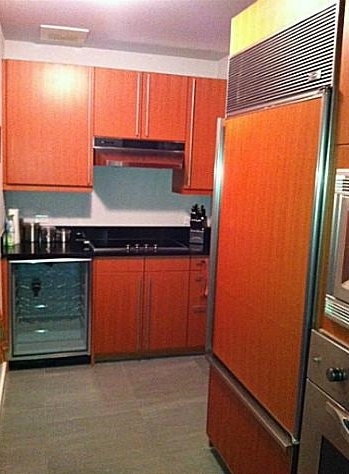 It features a contemporary designed L-shaped galley kitchen that includes stainless steel appliances and a wine cooler. The open floor plan showcases high ceilings and amazing views of the city from spectacular balconies. Other amenities include full access to the Four Seasons amenities like the state of the art fitness center, elegant pools with sun decks, a bar and easy access to hotel restaurants. Life is easy at the Millennium! Nothing says luxury like the sparkling Mayfield Conrad in Miami! This three-bedroom, three-bath is fully furnished with a contemporary design and expansive views of the city and bay. With spacious rooms and updated finishes and fixtures make the almost 1,900 square foot residence everything anyone can imagine. Spa like baths, a great contemporary kitchen and large living areas provide the comforts of home with high-line amenities. On top of this, the hotel amenities are full accessible to residents and include a world-class spa, pool, tennis courts, gym, relaxing lounge, pool bar, tennis, concierge, valet, and much more. For those interested in Brickell rentals, $5,000 and less allows them to live the good life. There are tons of opportunities for various size condos from one-bedroom to three bedrooms making it fairly easy to find that perfect place to live in Brickell.